Pitmedden Furniture Workshop is located in the village of Pitmedden on the B9000/A920 Oldmeldrum Road. 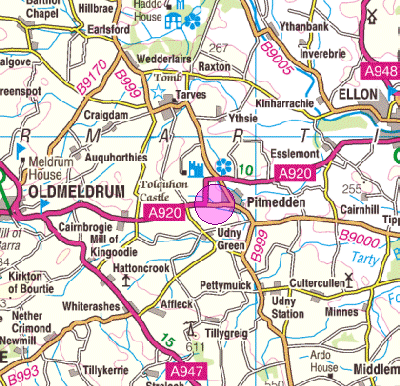 We are approximately 15 miles from Aberdeen, 6 miles from Ellon and 5 miles from Oldmeldrum. Just around the corner is the entrance to the famous National Trust for Scotland property of Pitmedden with its famous gardens. 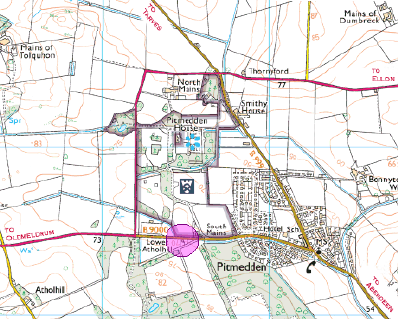 Images produced from the Ordnance Survey Get-a-map service.